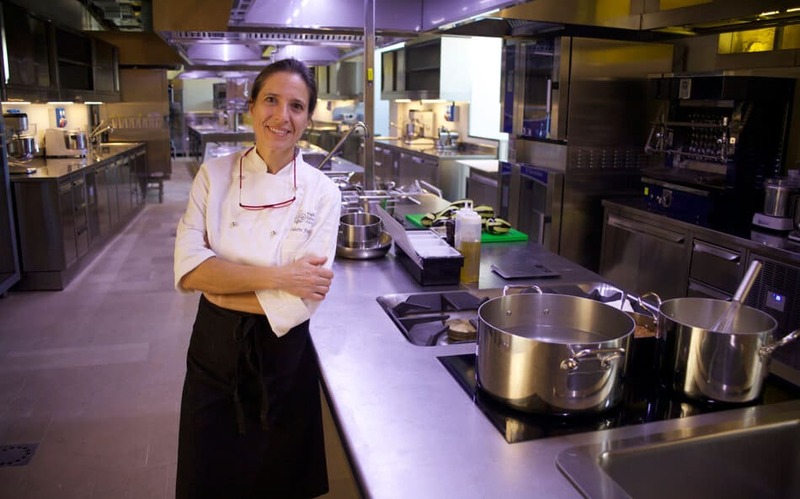 Under the leadership of Chef Odette Fada, a unique Italian cookery school has been created beneath the arched ceiling of the castle’s old storehouses focusing both on Puglia and all Italian eno-gastronomy. 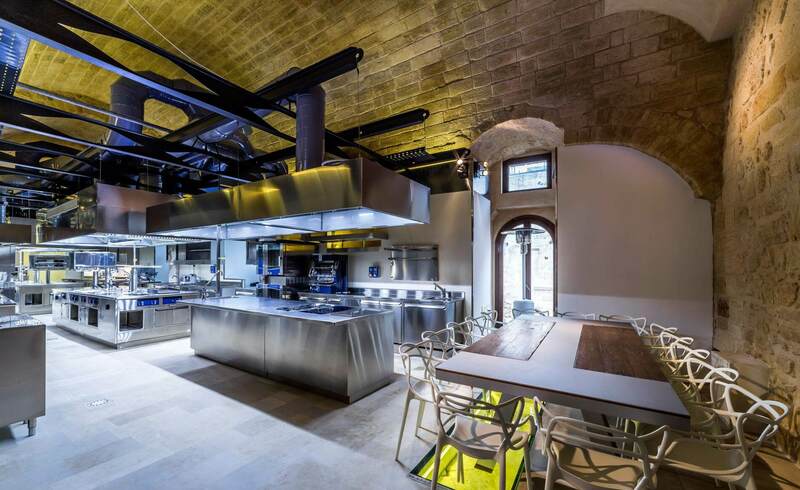 The state-of-the-art cookery school is a sleek, steel freestanding construction, a modernist work of metal art, beneath the arched ceiling of the castle’s oldest storehouse. 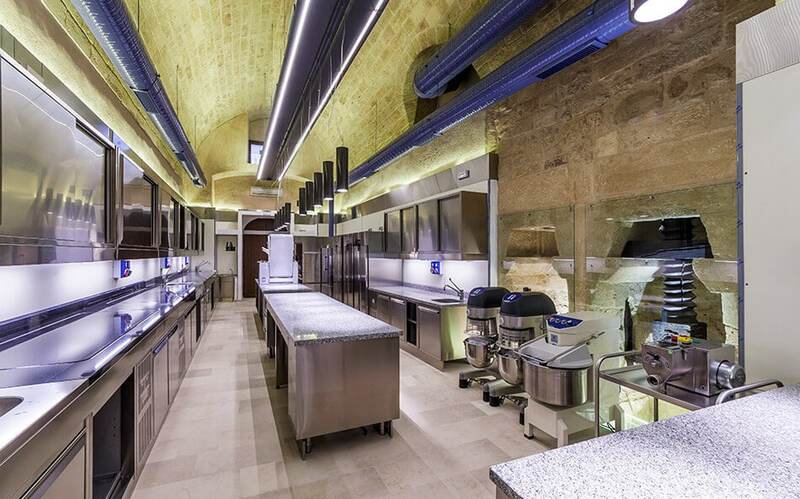 The customized equipment from Electrolux Professional is top of the range and slots seamlessly into this vast historic space – an exercise in precision engineering. 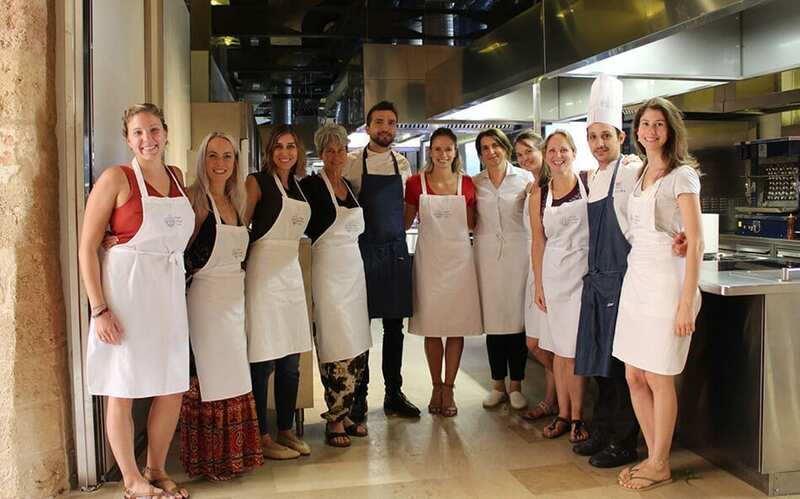 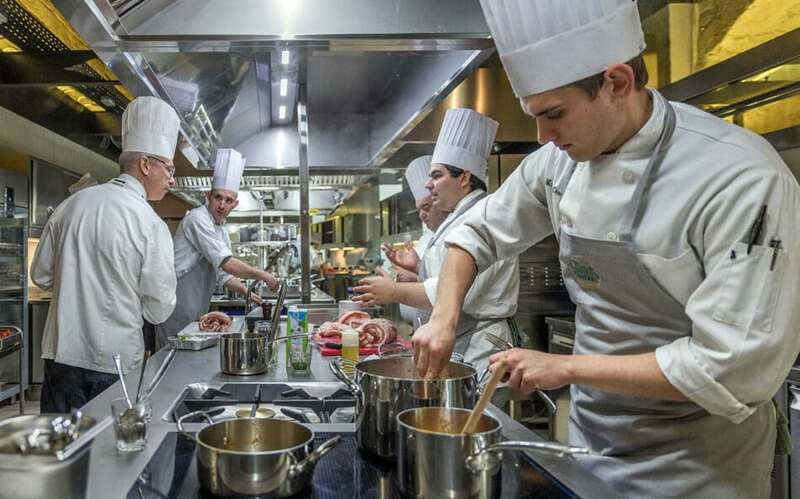 The students from the renowned Culinary Institute of America are at Castello di Ugento from September to March to follow a Concentration in Italian Cuisine from all of Italy’s regions, while being fully immersed in Puglia’s eno-gastronomy. 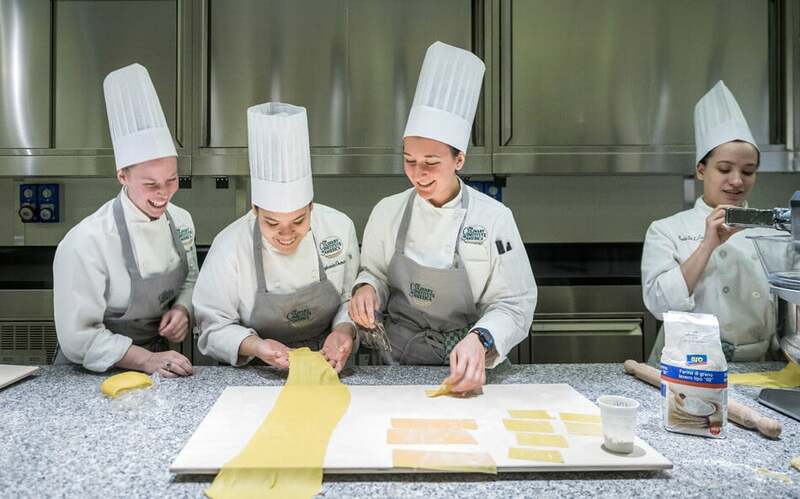 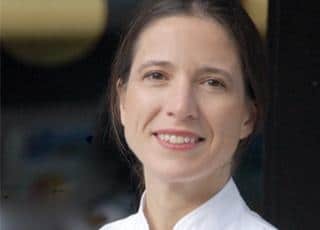 Famed Chef Odette Fada is the director of the school and carries them forward on a 15 week program where they come out fully aware of how Italian cuisine and culture go hand in hand. 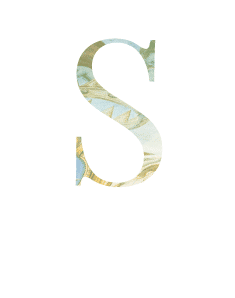 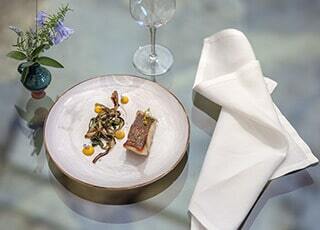 Seasonality, fresh ingredients and healthy eating are the guiding principles. 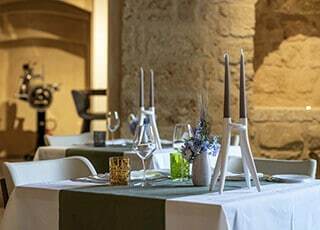 The Puglia Culinary Centre uses fruit, vegetables and herbs grown in the castle’s restored 18th-century kitchen garden in the cookery school. 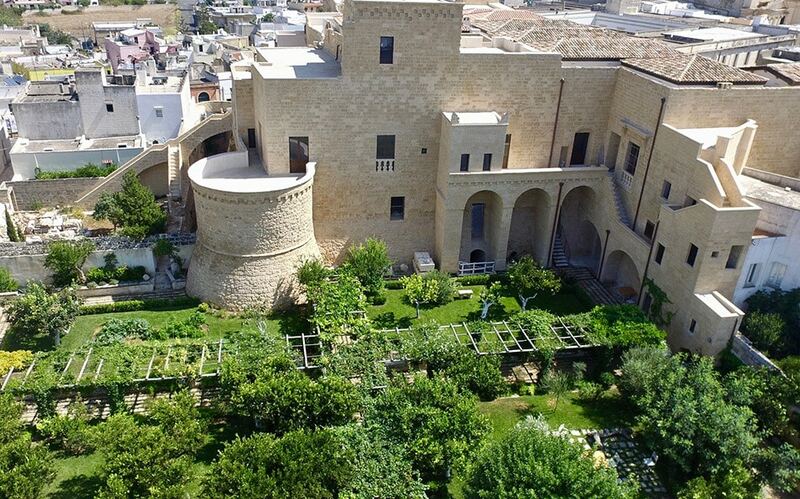 The orchard includes lemon, orange, persimmon, figs and almond trees laden with fruit, while raised beds are planted with fennel, basil, and fava beans during spring. 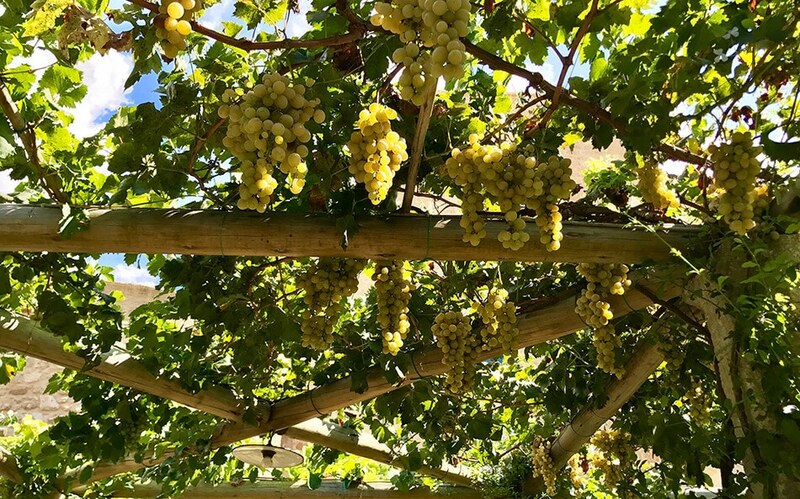 In summer the crops include peppers, prunes and peaches, in autumn there are cauliflowers, pomegranates and persimmons to pick while in winter melons, tangerines, artichokes and cabbages are in season. 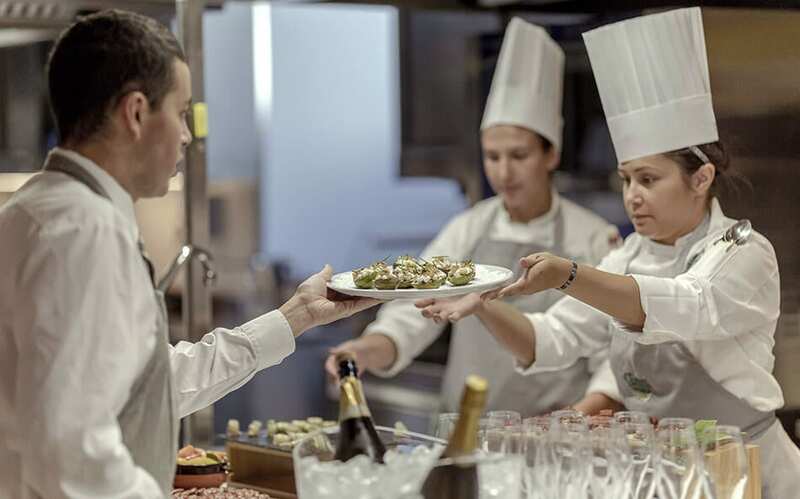 To be a true chef of Italian cuisine you have to master all of the different techniques, tastes and textures of the cuisine of the various Italian regions.